An Interview with Felix M.
Categorized as: Stories on May 3, 2014. Today we feature an interview conducted by John Medo, the very first supported student of our grantee partner, The School Fund. John spent time earlier this year in Iringa as an intern for TSF and an assistant to TSF advisor, Fuad Abri. John recently traveled back home to Karatu in Northern Tanzania where he will continue interviews with students there. In early 2014, before he left Iringa, John interviewed Felix M., who has been supported by The School Fund since 2014. Felix studies at Highlands Secondary School in Form Two. He is 15 years old and lives with his father, his mother, and his two sisters. He is the first born of his family. His father is a house builder, which does not offer permanent work, so he is currently unemployed and they get very little money. Sometimes the money is not enough even for their basic needs, so Felix’s mother cooks and sells food on the street and that is how they raise their children. Education caused Felix’s parents concern because they did not know how they would pay for their kids’ fees. Felix passed his Standard Seven National Exam and he was assigned to Mtuivila Secondary School, but he decided to go to Highlands Secondary School instead because of Mtuivila’s poor reputation. Felix said life in Africa is hard because some of the parents did not attend school, so they even don’t know the importance of school and therefore don’t send their kids to school. Those who understand the importance of education often don’t have the ability to send their kids to secondary school due to unemployment or poorly paying jobs. 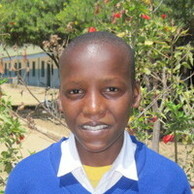 Felix had a hard time when he was chased away from school because he was unable to pay his fees. He felt very bad about missing classes and feared that his teacher would not repeat what he had missed, so he gave up and told himself that his dream would not come true. Felix shares that the hardest time of his life is when his father chased his mother away from home due to a misunderstanding. For some time, Felix and his siblings had nothing to eat and when his father returned, he insulted and hit his children. Now, Felix says he does not have any challenges because his fees are being paid by The School Fund. His only challenge is that at school they don’t have enough books for personal reading time. Felix’s big dream for the future is to become a surgeon because he wants to help society and says that many people are dying in his country because they cannot afford to seek further treatment. He wants to help them and provide treatment in their homes. If he could have everything in this world, Felix dreams of owning a big laboratory and having a good job in a hospital where he will be helping people. Felix was very happy when he was chosen to be part of The School Fund and knew that his dream will come true since he could now afford to attend school daily. He is working hard to fulfill his dream and feels that TSF is an instrument of liberation for those, like him, who do not have the financial means to seek education. This blog post was reposted from The School Fund website.